Mega Star Chiranjeevi’s 150th Movie : The fans of Megastar Chiranjeevi have been waiting from a long time to know the details of 150th movie of their favorite hero. Now there is good news for the fans of Mega star Chiranjeevi as the title for his 150th movie had been finalized. Chiranjeevi had left acting in movies aiming big in politics. 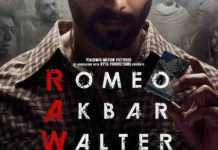 Now he is back to act in his 150th movie which will be launched soon. 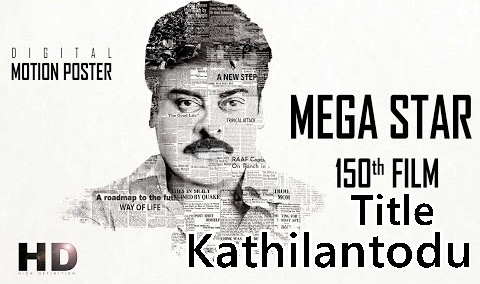 According to latest buzz, Mega star Chiranjeevi 150th film is an official remake of Tamil flick ‘Kaththi’ which is titled in Telugu as Kathilantodu. Now the title of his 150th movie had been finalized. The final title of Chiranjeevi’s 150th movie is ‘Kathilantodu’. This is the remake of the block buster movie in Tamil titled ‘Kathi’. Te movie will be directed by VV Vinayak. Now the director is busy in scripting the movie to suit the taste of Telugu audience. Actress Nayanthara will be roped in to share the screen space with Chiranjeevi in this movie. Music director Devi Sri Prasad will tune the music for the movie. The movie is going to be launched on Telugu new year that is on April 8, 2016. The movie will go on floors in the month of May. As per sources Chiranjeevi will under go a surgery for his shoulder and will take rest for a couple of weeks before the movie start its shoot. As per latest updates,Chiru will soon undergo a surgery to his left shoulder in Mumbai. He will then take a couple of weeks to recuperate before flagging off Kathilantodu. If everything goes as planned, Chiru’s 150th film will release during the Sankranthi season in 2017. Ram Charan Tej will produce the movie under his own banner. However the fans are so excited to watch Chiranjeevi again on the screen.